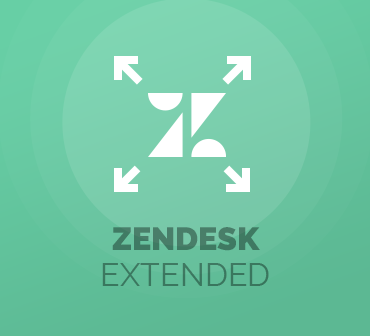 Zendesk Extended For Magento 2 has been built to achieve professional integration of your eCommerce platform with Zendesk, and thereby enable the remote use of advanced features driven by this world-renowned customer service solution. 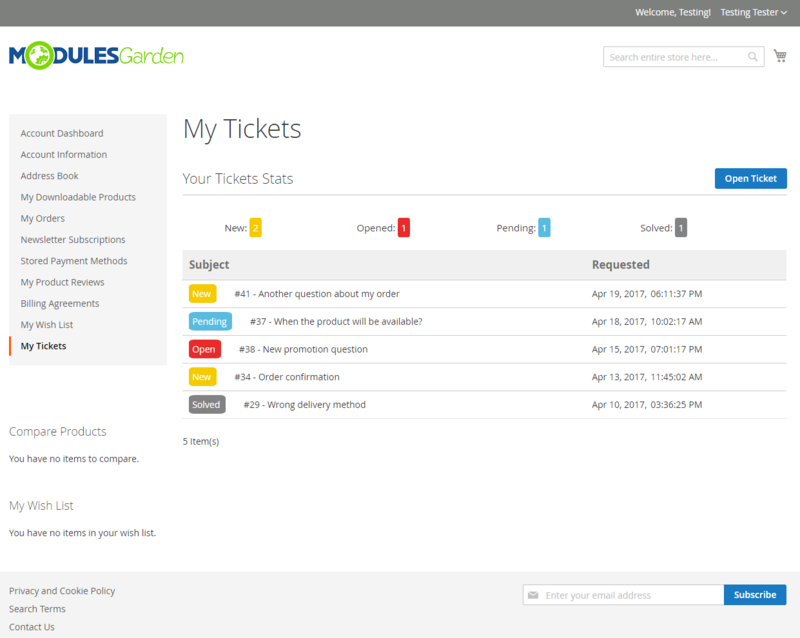 Skip the cumbersome necessity of leaving your system in order to keep an eagle eye on your Zendesk tickets. 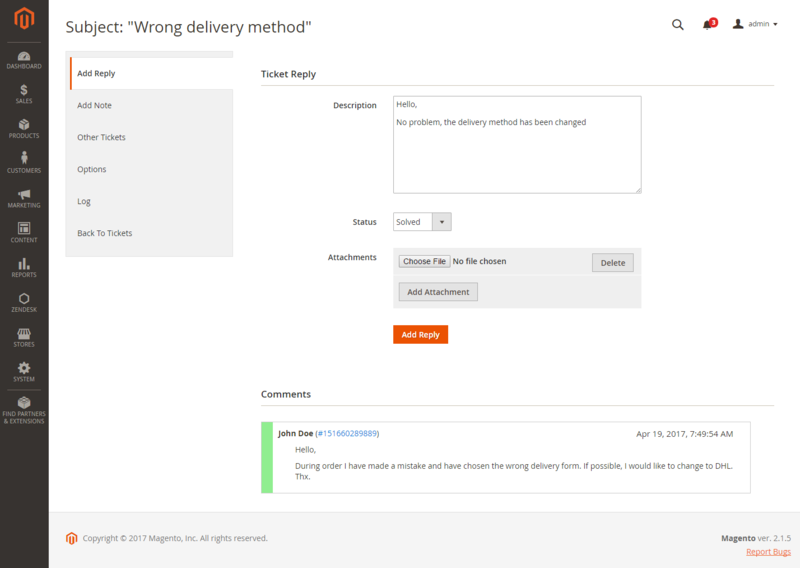 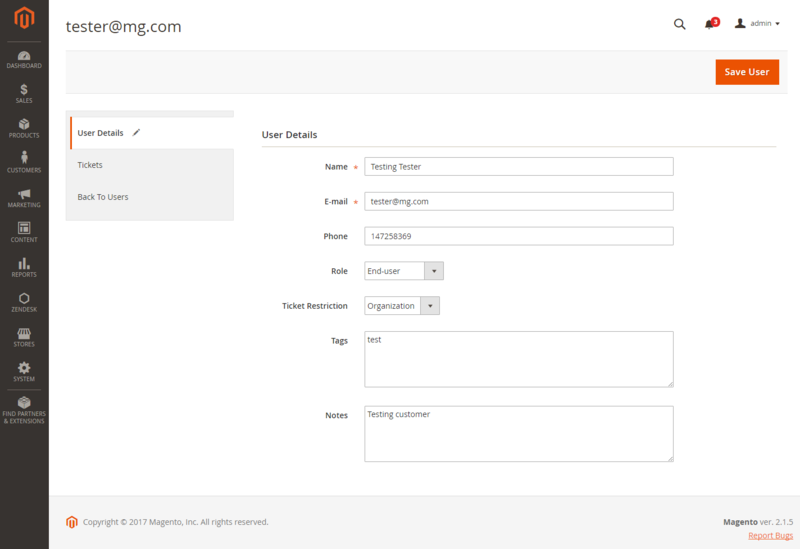 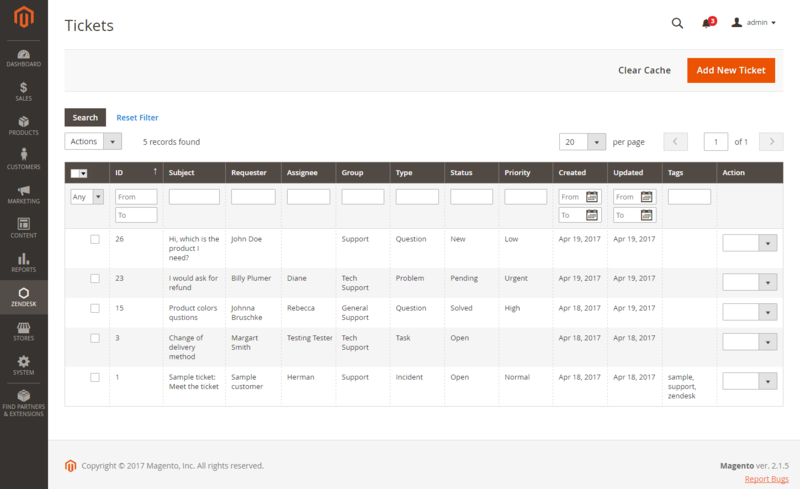 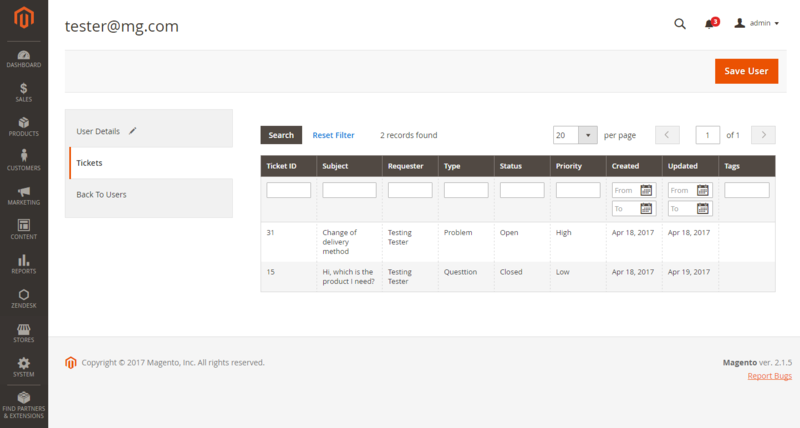 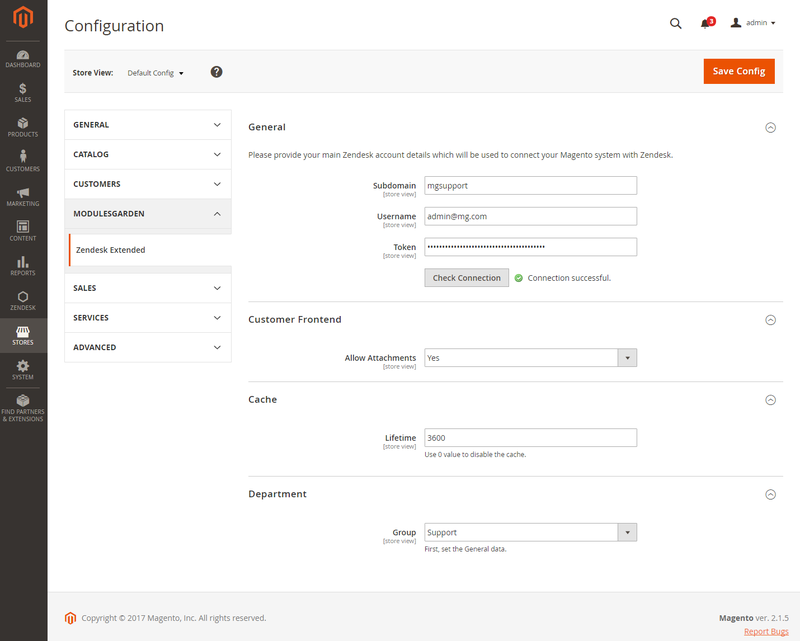 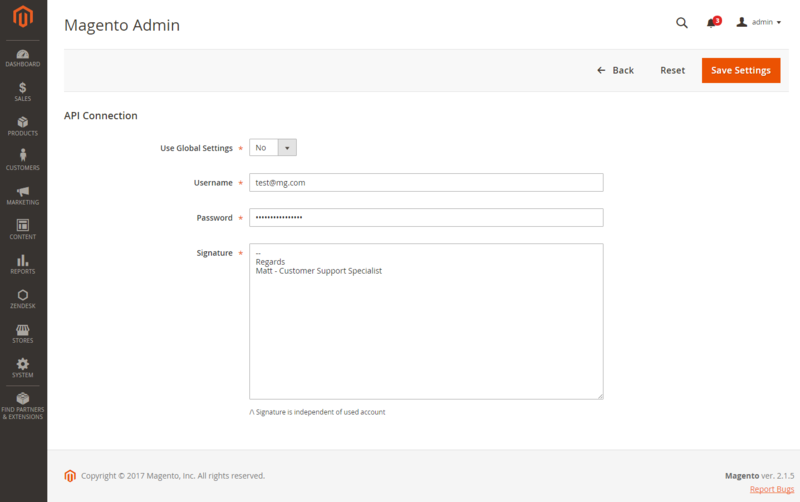 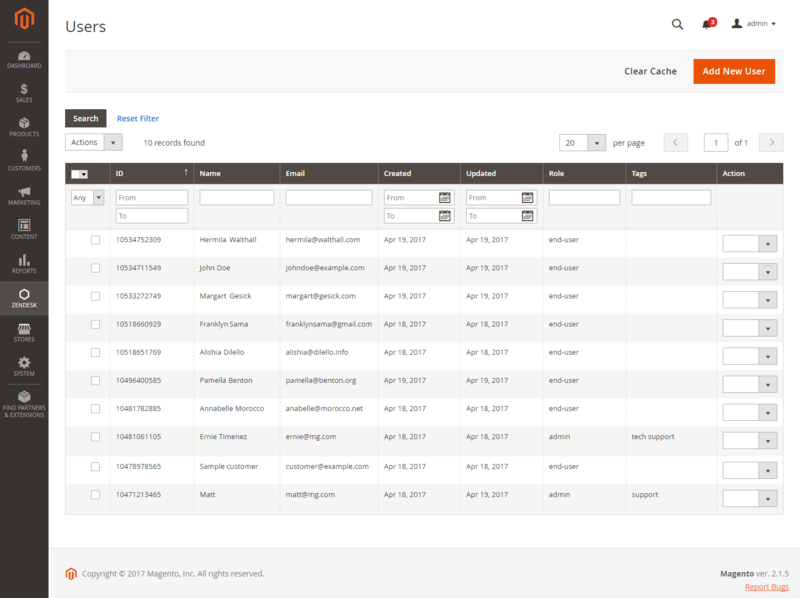 This extension will let you handle single or even multiple tickets at once in the Magento admin panel as well as register Zendesk accounts for your customers in an automatic way. 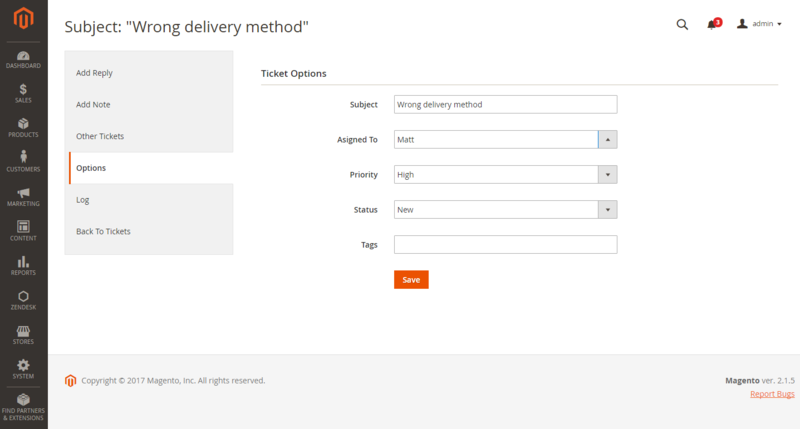 Advantages of great value will be also brought to your clients as they will be free to submit and conveniently manage tickets in a brand new section located in the customer panel of your eCommerce platform. 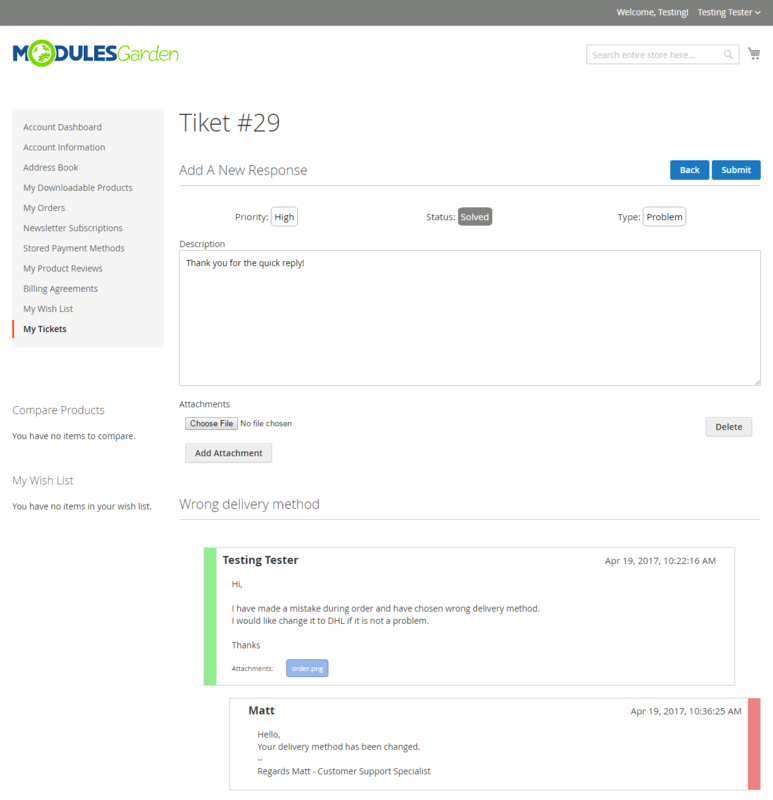 Expand your horizons on how to perceive the quality of customer service. 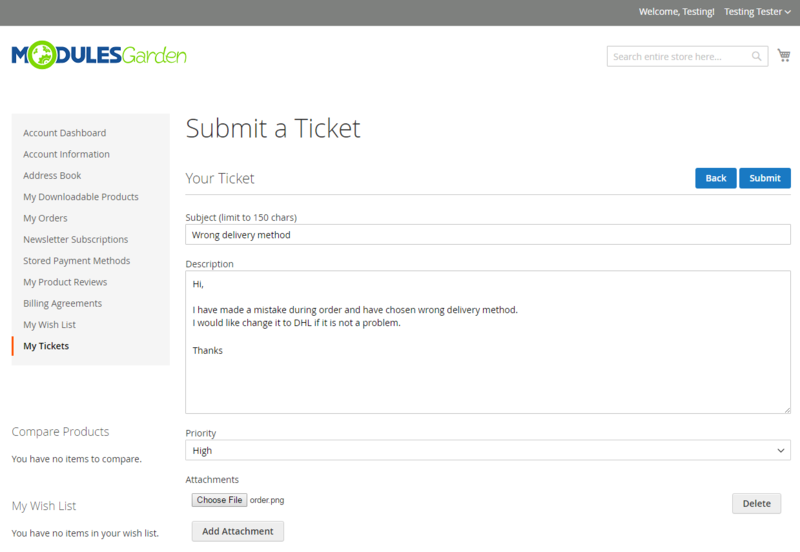 Order Zendesk Extended For Magento 2 and give your clients red-carpet treatment!